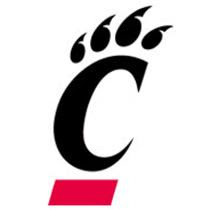 Tomorrow at high noon, the 14-9, 5-6, Cincinnati Bearcats take to the scenic streets of Storrs, Connecticut to take on the 14-10, 4-7, Connecticut Huskies. Both teams are coming off losses to Syracuse, UConn's in less dominating fashion Wednesday. This is the second meetings of the UC's this season. The Bearcats pulled off a 71-69 victory thanks to a beneficial call in the closing seconds leading to Lance Stephenson sticking in a pair of free throws for the W. Lance Stephenson exploded on UConn to the tune of 21 points. Deonta Vaughn went for 17-5-5, Ibrahima Thomas had 6-9-3 blocks, and Larry Davis had 9. The Huskies were powered by 24 from Jerome Dyson, along with 7 boards, 5 assists, 2 steals and 20 from Stanley Robinson. UC blew a 12 point lead in the second half of that game, and Kemba Walker hit a 3 to tie the score with 9.4 seconds left. Just like the first meeting, Jim Calhoun is coaching the Huskies. Calhoun took a medical leave for 7 games, in which UConn went 3-4. I asked the highly esteemed UCHuskies.com what impact they thought Calhoun had coming back for Saturday, and the rest of the season. Two things I think the Huskies have working for them Saturday, and the rest of the way, are, Calhoun's return and the emotional lift it will provide...and the "us against the world" mentality the team will have, following what I consider to be some "questionable" officiating in Syracuse. Calhoun is the motivator, Blaney is the good cop. Calhoun's return is probably a game later than ideal, but is still well timed. 7 Big East games remaining, the Huskies must go 5-2 to get back to .500 in the league. It's all hands on deck from here on out. No excuses. Along with UCHuskies.com, TheUConnblog.com is a great place for UConn news and views. This is a pivotal game for both teams, as you could see on both of their sites, because neither can afford to take on more losses. Let's take a look at how the teams match up this time. This game would be an upset if there were many 3s made. UConn only gets 15% of it's points from behind the arch, which is second to last. Cincinnati's percentage is only better than 30 teams. In the first meeting, there were only 7 made 3s. Cincinnati was playing much better in late December/early January than they have been now. Connecticut also makes the same claim, as the UC loss dropped them to 9-3. This is going to be interesting to watch. It may not be the greatest game offensively because UC is in it, but both of these teams have to put everything out there. UC needs to win on the road, where they have been awful this season. UConn needs to win home games, where they beat Texas and also lost to Marquette. 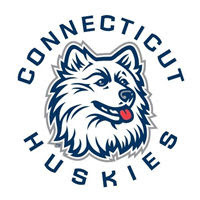 UConn was less than stellar against DePaul in their last home game, but looked focused and played hard against Syracuse. Calhoun coming back should be a big boost emotionally, and early on for the Huskies. On the UC side of the coin, the Cats couldn't have played worse than they did at Notre Dame, or in the last 12 minutes against Syracuse. The Bearcats lone road win was at Rutgers January 2, and they have lost at St John's, Louisville, ND, and Seton Hall. Some of those teams stack up well to UConn. UC didn't win there, and I don't think they win here. Lance Stephenson and Deonta Vaughn have to match the 38 they put up in the first meeting, and someone like Larry Davis needs to be a spark. Yancy Gates contributed nothing on offense, but if he plays solid D, that could be enough.